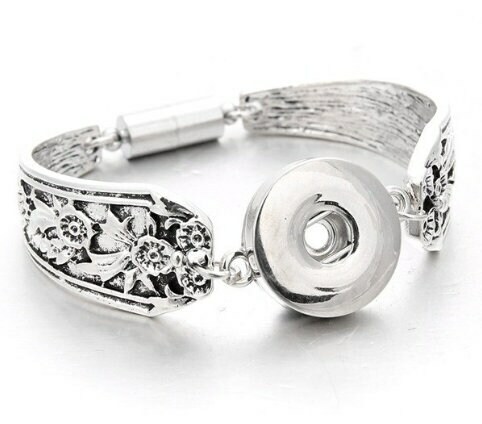 This stunning "spoon style" cuff bracelet with it's unique circular design pairs perfectly with our hand-pressed or crystal snaps! 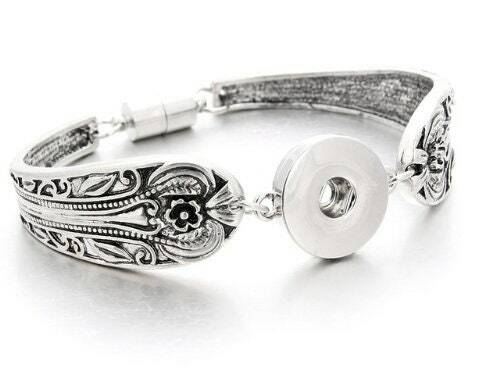 The bracelet was received by my 78 year old grandmother and it was broken. I contacted the seller and requested a replacement. One of the worst customer service experiences I have ever come across. We were issued a refund but were basically accused of lying. I am shocked that a seller would treat a customer with such rudeness. Pretty disgusting customer service.